Principally designed as a small batch closed fermentor the APOLLO™ tank may also be used for long term storage. 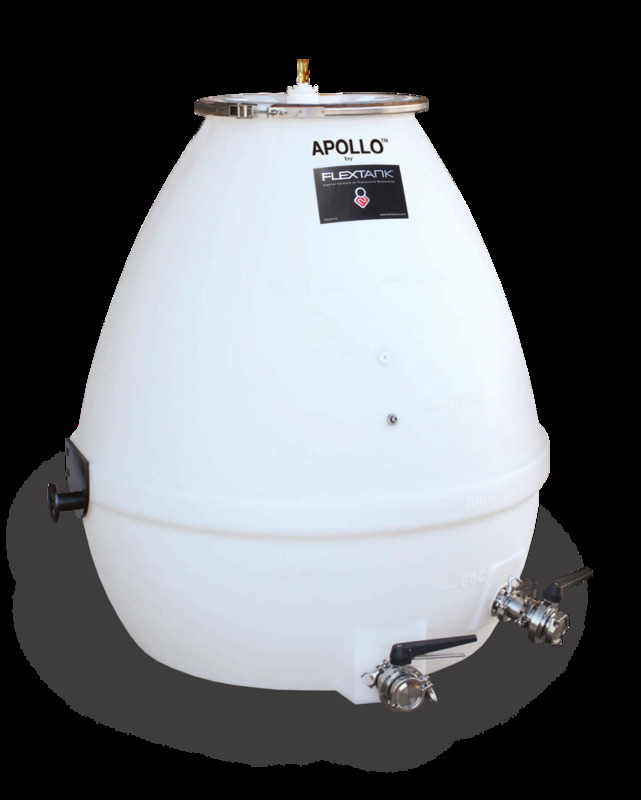 As a fermentor the Apollo offers a number of advantages over open bin ferments. A latest trend in winemaking is the Egg shaped tank. Winemakers report superior fermentation results in these tanks due to the shape promoting both internal convection mixing and cap concentration. Why Should You Take a Look At Apollo? Easy To Handle: Apollo is easily manipulated by hand and can be quite stable at intermediate positions. The lifting apparatus can range from the sophisticated to a simple sling suspended from a forklift. Once fermentation is complete Apollo serves as a long term storage (similar oxygen permeability to a neutral barrel) or general purpose tank for the winery. Replace those bin fermentors with Apollo and enjoy better fermentation conditions and year round use.